Chief Electoral Officer for Northern Ireland Virginia McVea. The Northern Ireland Electoral Office has provided assurances every absent voting application will be "robustly scrutinised" following the passing of the deadline earlier this week. Anyone unable to vote on polling day on May 2 for the local government elections can apply to for a postal or proxy vote through the absent voting application process. That closed on Thursday and officials are sifting through all those submitted. East Londonderry MP Gregory Campbell has said each application needs to be properly scrutinised. 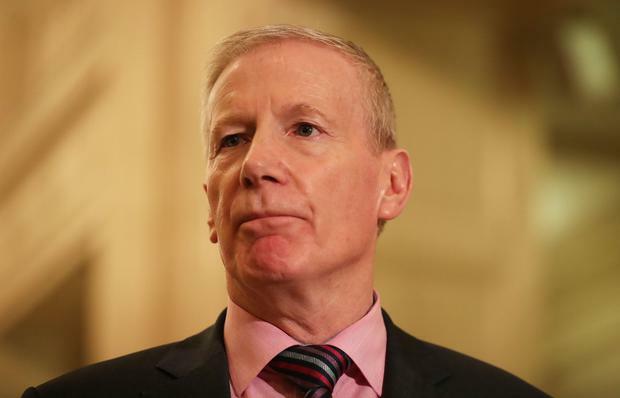 The DUP veteran pointed to analysis that showed a large increase in postal and proxy votes in seats which elected a Sinn Fein MP during the 2017 General Election. The average number of proxy votes in seats which elected a Sinn Fein MP was 23.5 per 1,000 ballots. In the seats which did not elect a Sinn Fein MP this figure was 7.8 per 1,000 ballots. Almost three times more. The number of proxy votes cast in Foyle at the last election was 27.8 per 1,000 ballots. Sinn Fein's Elisha McCallion won the Foyle constituency from the SDLP's Mark Durkan by 169 votes. It later emerged that the use of proxy votes in some Sinn Fein-dominated areas of Londonderry was more than 17 times the UK average. "The the Electoral Office still needs to instil confidence amongst the public that full and proper scrutiny of every single application is going to be carried out," Mr Campbell said. "There is no logical explanation for the huge disparity in application rates across Northern Ireland. I have yet to hear any explanation for the situation in Foyle." Chief Electoral Officer Virgina McVeigh told the Belfast Telegraph the system for considering each absent voting application was overseen centrally by her and was robust. She said it was vitally important people had confidence in the election process and they worked to ensure each application was valid before allowing an absent vote. "I would encourage anyone with information in relation to any suggestion of impropriety to contact me immediately," she said.